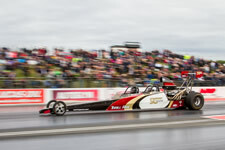 This is a rare opportunity to experience first-hand the awesome acceleration produced in Drag Racing. 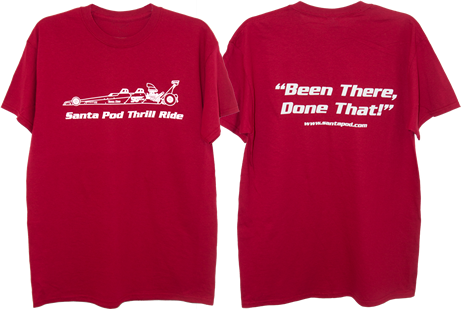 Whether you are treating yourself or buying this as a gift, Santa Pod’s Two Seater Passenger Dragster provides the ultimate Thrill Ride! Designed for the bravest of fans, you will be launched down the quarter mile dragstrip in around 8 seconds at 170mph! Feel the throb of the engine and experience the G-force as you take to the strip directly behind the professional driver to accelerate faster than a fighter jet! The dragster boasts a 9.8 litre big block Chevrolet engine running on C12 Octane race fuel with 1000bhp. It has a chrome moly steel chassis weighing in at approximately 2200lbs with both driver and passenger. Refreshments throughout the day and lunch in the Hospitality Area. 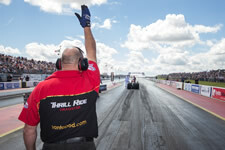 Booking - Please call 01234 782828 for more information and to book or email donna@santapod.com. All passengers will be required to sign a disclaimer form prior to their passenger ride. This experience may not be suitable for those who are pregnant, suffer from epilepsy, heart conditions, claustrophobia* or any mental or physical disability. Passengers must be a minimum of 16 years old but additionally must be a minimum of 5ft to ensure the safety systems and restraint systems are fully effective. Passengers must be able to get in and out of the dragster unaided. Cancellations by the booking party are non-refundable and non-transferrable. *please be aware that the cockpit and safety harnesses can be quite restrictive so the ride may not be suitable if you suffer from being in confined spaces. 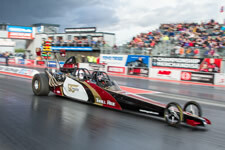 See what the BBC's Mike Bushell thought of his ride in the Santa Pod 2 Seater Dragster.